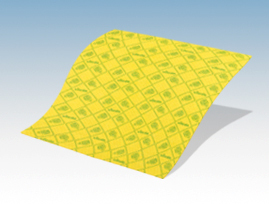 Super absorbent - absorbs 14 times its own weight. Fast drying to maintain freshness and last longer. Made from 100% natural materials (cellulose and cotton). Machine washable. 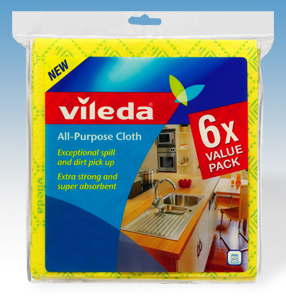 Super absorbent and durable sponge cloth. Odour prevention formula for extra hygiene. 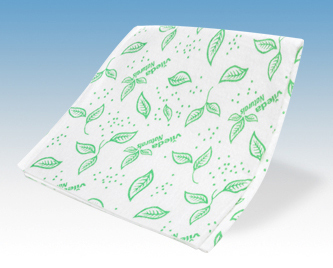 Made from 100% natural materials (cellulose and cotton). Machine washable. 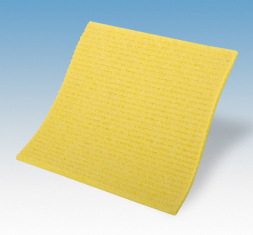 Super absorbent and durable sponge. Absorbs up to 12 times its own weight. Grooves for particle pick up. Made from 100% natural materials (cellulose and cotton). Machine washable. 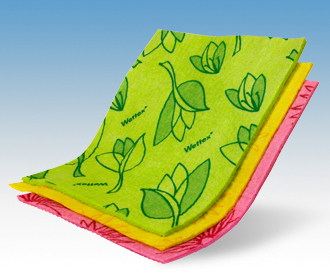 Made from renewable materials - viscose and PLA from corn. Highly absorbent. 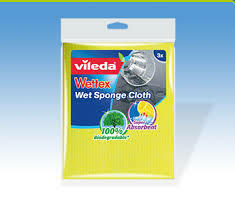 Ideal for general purpose cleaning. Machine Washable. 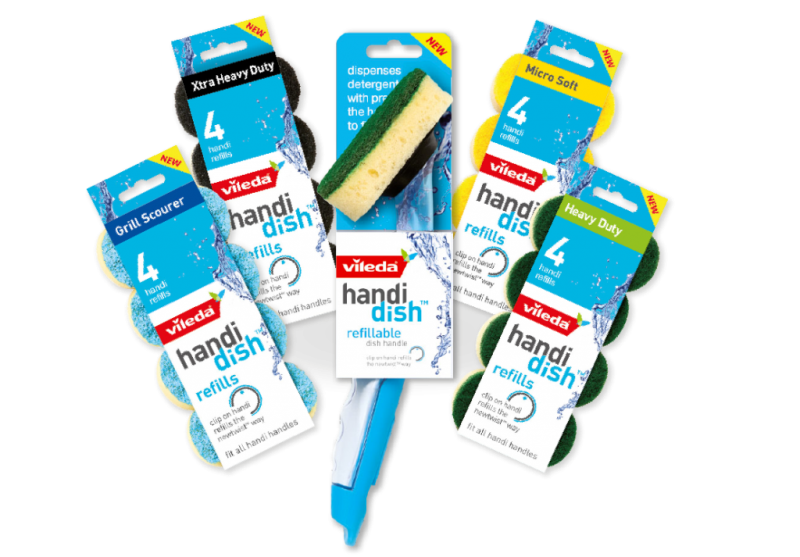 Vileda Handi Dish cleans effortlessly and effectively, even reaching into the tiny crevices found often at the base of cups and pots. It has a few innovative features, such as an ergonomic grip and slower detergent release for less wastage, which should result in happier and easier dishwashing. 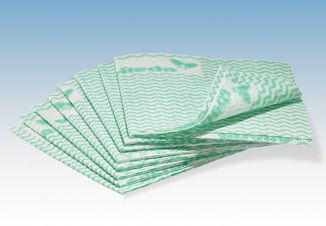 Available are extra heavy duty, green heavy duty, micro soft, and grill refill pads. Heavy duty green sponge scourer that is suitable for everyday use. 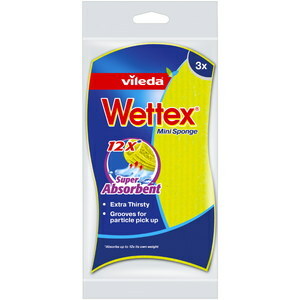 It feels tough but still soft, however is not recommended for delicate or non stick surfaces. ‘Grill Scourer’ (blue) for bbq plates, oven plates, pots or pans; and ‘Xtra Heavy Duty’ (black) for stubborn tasks. This means that it is possible to wash the entire range of dishes you have in the kitchen with this handle. 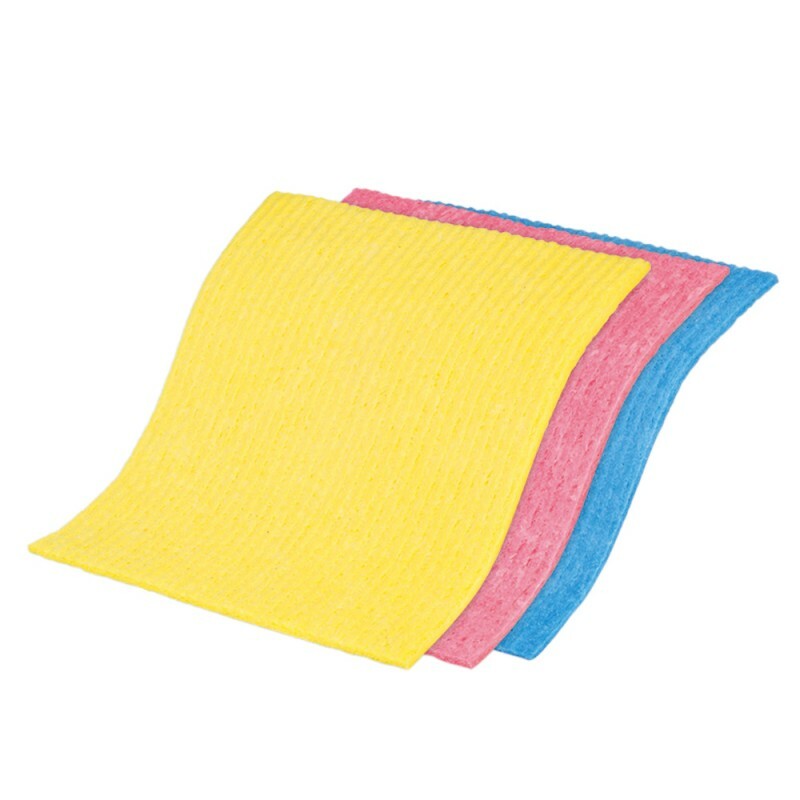 The yellow ‘Micro Soft’ would also be perfect for quick cleaning in the shower. 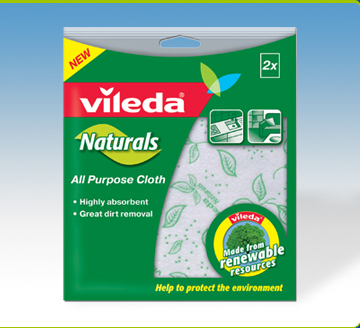 Made from renewable materials -viscose. 100% biodegradable. Highly absorbent. 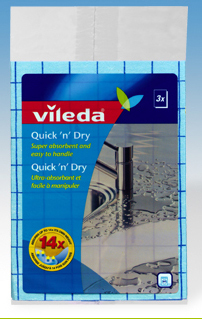 Easy rinsing and quick drying .Ideal for all-round general purpose cleaning. 12x Super absorbent. It has grooves for particle pick up. 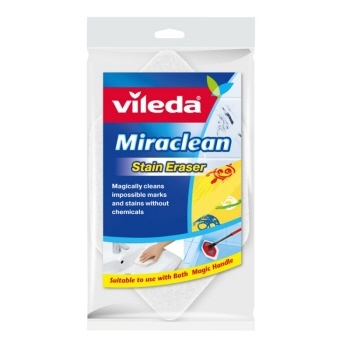 Vileda Miraclean made from 100% melamine is effective in removing stubborn stain and marks on multiple surfaces. It can easily remove crayon & texta marks, tea & coffee stains and grease. 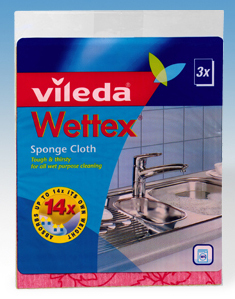 Use to remove marks and grime from painted walls, wood finishings, tap ware, tiles and glass. 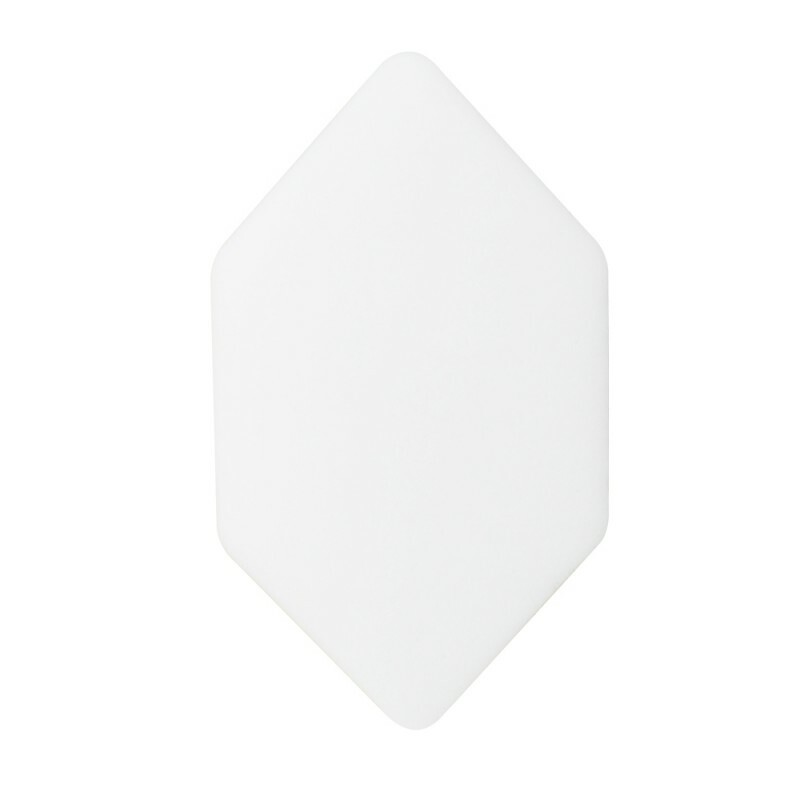 It is ideal for cleaning hard to reach areas due to its hexagonal shape. 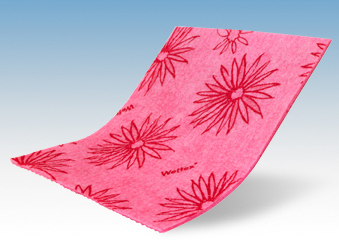 To use this stain eraser, you simply need water - no chemical cleaners or soaps required. 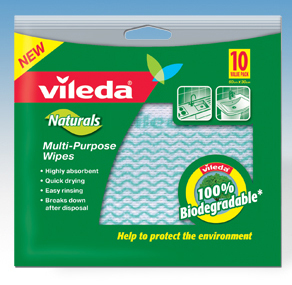 Rinse Vileda Miraclean with water every after use to remove any residue. 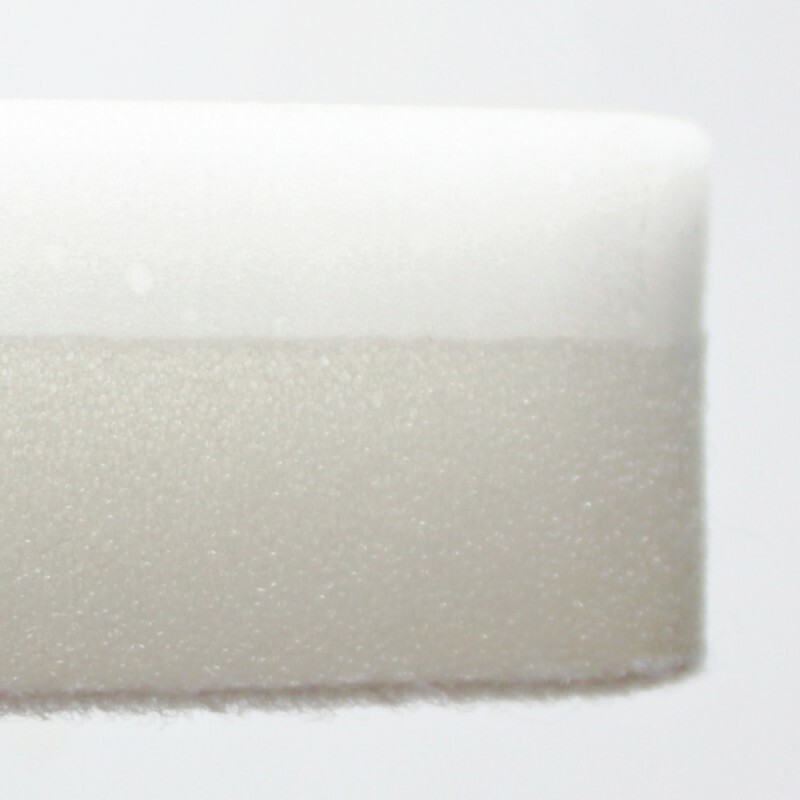 It is moulded on sponge for absorbency and support. 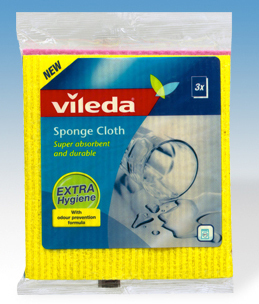 This stain remover sponge is compatible with Vileda Bath Magic for those hard to reach areas without the need to bend or stretch.